Adaptations will happen. It`s the nature of Hollywood. Audiences aren’t fleeing away yet, so there’s no reason not to adapt. However, if all that is done is adaptations, original sources get scarce. The easy ones are on the verge of being overdone. A couple of news articles this past week show that there are studios looking beyond just remakes. First, Amazon picked up Tales from the Loop to make an eight episode series. 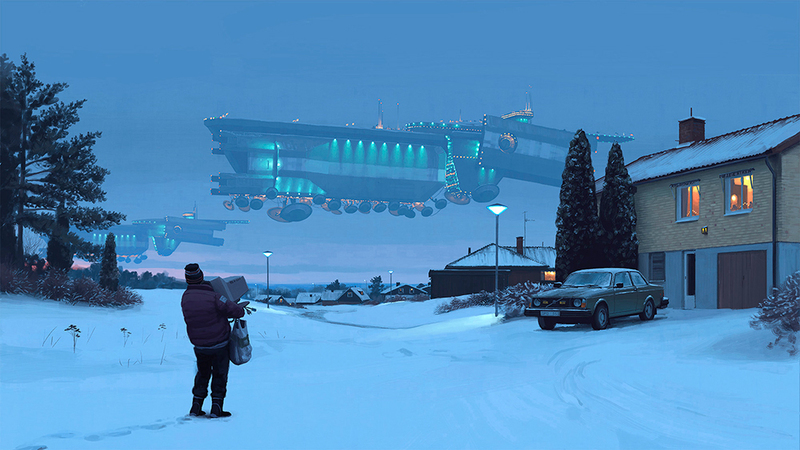 Tales from the Loop is a collection of paintings by Simon Stålenhag showing an alternate Sweden of the Eighties, one where the landscape includes kids and unusual machines and buildings, the latter two being part of a particle accelerator program. The original paintings were gathered into one book, which then spawned a tabletop RPG of the same name. 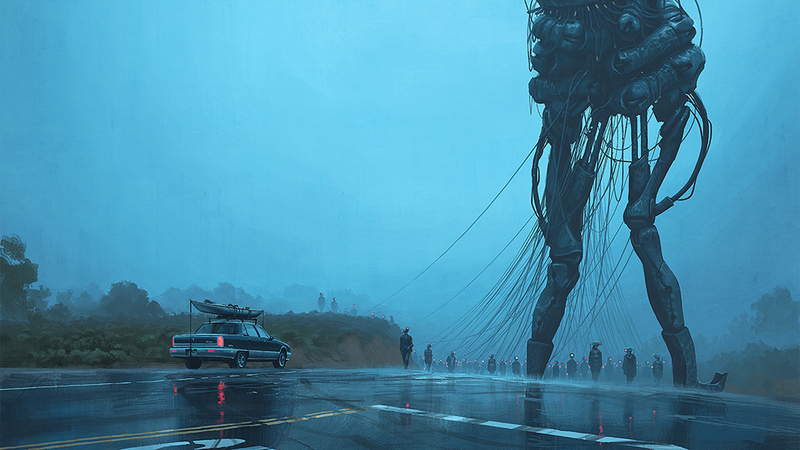 The Kickstarter raised enough money to have an American Loop project added, resulting in more paintings by Stålenhag. It looks like Amazon is trying to cash in on Netflix’s Stranger Things, but the collection of paintings was done prior to that series. The second announcement uses a more mainstream source. Lively McCabe Entertainment and Primary Wave licensed Plain White T’s “Hey There, Delilah” as the basis for a romantic dramedy to shop around to networks. The song is a hit and has been featured on several TV series since its first release in 2006. Music has been used before as a source, but typically for either episodes of TV series or as a movie. “Hey There, Delilah” does have characters – Delilah, a university student, and an unnamed singer-songwriter, using the song to stay close to her while on the other side of the country. That might be enough to at least start the series. Notably, neither announcement is for a movie. Both are TV series. Television, though, isn’t the wasteland it used to be. The competition for audiences goes beyond the three-channel, lowest common denominator and now includes specialty channels and streaming. The goal now is to attract an audience that has become finicky in what it wants. With Tales from the Loop, the short run will keep the series focused on the mixture of mundane and mysterious. With “Hey There Delilah,” audiences are familiar with the idea of romantic dramedies already; the song becomes the hook. Are these two announcements the start of a new trend? That depends on their success. Television is tough these days. If Amazon can reproduce the immersive quality of Stålenhag’s paintings, Loop should raise a following. The dramedy of “Hey There, Delilah” may have it rougher, but if the main characters are compelling, the series should have a few good seasons.